For $3.99 at the Chinese fruit and fish market in Sunset Park Brooklyn, you can purchase a grapefruit the size of your head. I’ve lived in New York City for many years and in Brooklyn for only a few months, out of all the crazy foods I’ve come across and eaten (grasshoppers, pigeons, brains…ok haven’t tried that one yet) I’ve never seen a pomelo, until now. I stroll by these many times on my way to the local grocery store. Once thinking they were melons, I took a closer look and saw they were actually a citrus fruit native to Southeast Asia. The neighborhood is primarily Chinese and I am always discovering foods that are new to me, inspiring recipes I never thought could exist. When I moved here six months ago from Queens I thought I’d seen it all, not so. 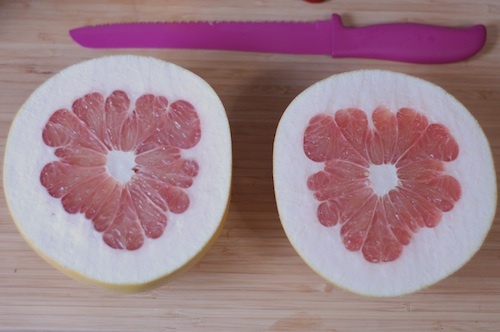 The pummelo, pomelo…had me speechless.Today I split one of them open to see what kind of treasure I would find. The inside of this mysterious fruit is a juicy, rose-colored flesh and the rind is surprisingly thick. The taste is much sweeter and milder than the traditional grapefruit, making it suitable for a Brooklyn weekend brunch salad. 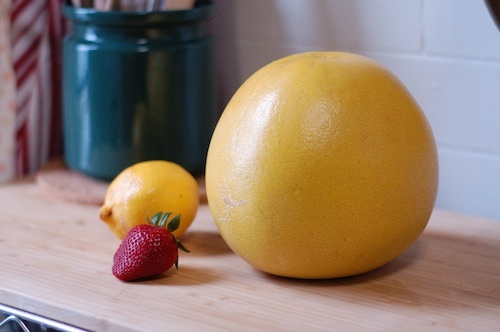 The pomelo has a thick rind and juicy flesh. 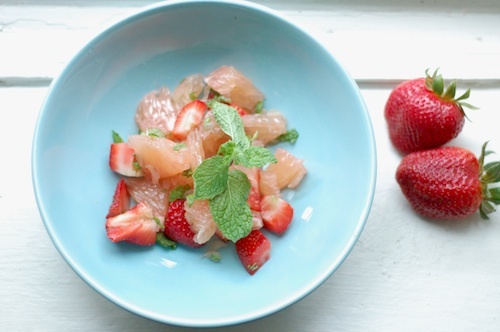 Pomelo and Strawberry Mint salad, suitable for an artisanal Brooklyn Brunch. Add all ingredients. Serve. Eat. 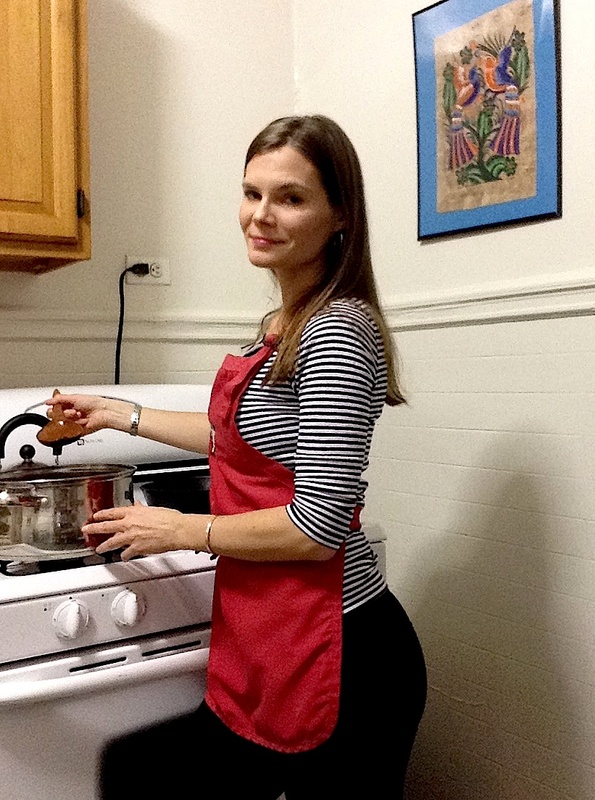 Feeds two. *Note, be aware that the skin is very tough. For optimal eating experience remove all skin from pomelo flesh.